Wiring Connector Kit (82212943) to be used on Wranglers with heated mirrors when installing the Half Door Kit. The Wiring Connector Kit adapts the wiring harness in the Half Door Kit to the factory harness in your Jeep. 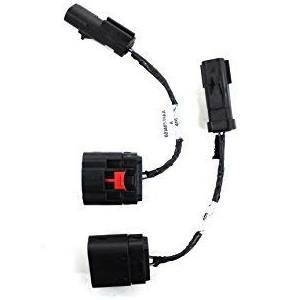 The Wiring Connector Kit only powers the door ajar switch in the door latches. The Half Door Kits will not have power locks or power mirrors.